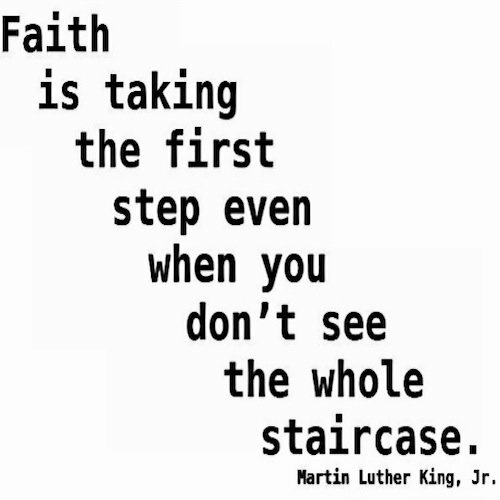 Faith is taking the first Step even when you don’t see the whole staircase..Action is what Seals our Commitment to Achieving anything. Take action, and the achievement begins to be real! #DontGiveUp!